Ready for your cool factor to EXPLODE? The Haven’t You Heard? 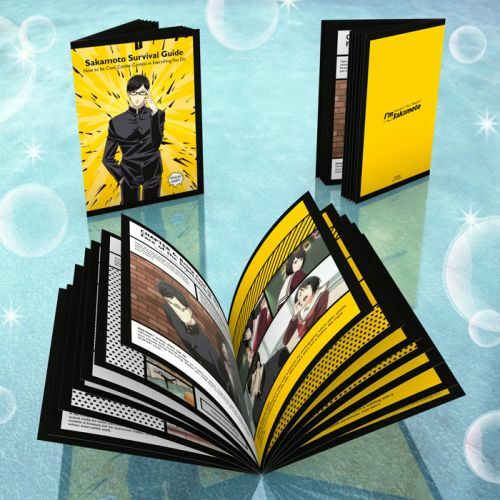 I’m Sakamoto premium box set has the tools you need to take you to Sakamoto-level coolness. Featuring line-art from the show, the outer chipboard box brings you the many visages of our favorite high school cool boy with finesse. With its stunning colorful pop-art style, each disc is just as cool as the man himself. 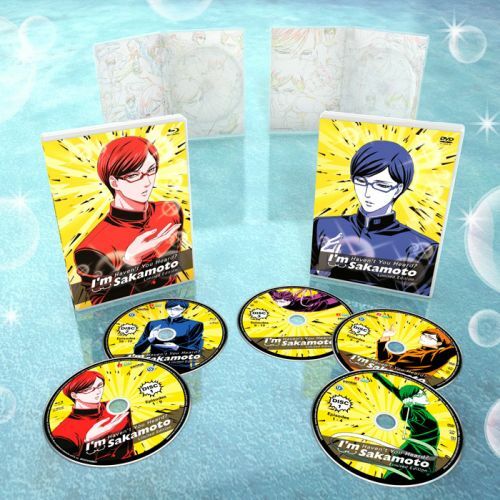 You’ll want to show off each disc to see Sakamoto in his various iconic poses! The DVD/Blu-ray combo includes the complete collection, along with an English dub, including the bonus episode 13 that takes Sakamoto to America! 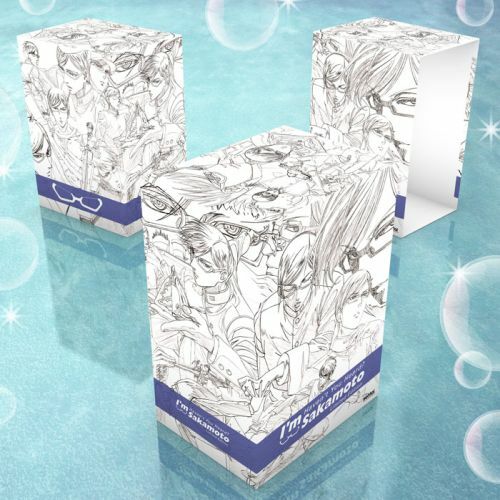 It’s not a Sentai Filmworks premium box set without exclusive goodies that you can’t find anywhere else! Can we take a moment to stare in wonder at this box art? Do you need a primer on how to be cool like Sakamoto? Then the “Sakamoto Survival Guide: How to Be Cool, Cooler, Coolest in Everything You Do” is the booklet for you! Filled with notes on Sakamoto’s “Secret Techniques” and “Instant Cool Pro Tips”, the Sakamoto Survival Guide is a fun way to freshen up those cool skills. 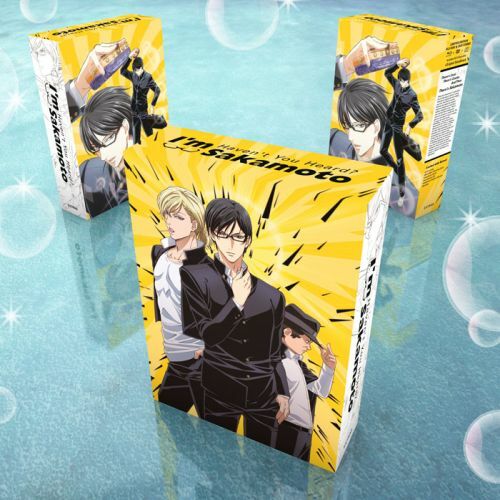 They say that there are two sides to everyone, and these cardboard stock double-sided art cards show off both Sakamoto’s comedic slide-of-life side, as well as his… bishounen side. This official art features the characters of Haven’t You Heard? I’m Sakamoto as you’ve never seen them before! Sakamoto believes in keeping things clean. 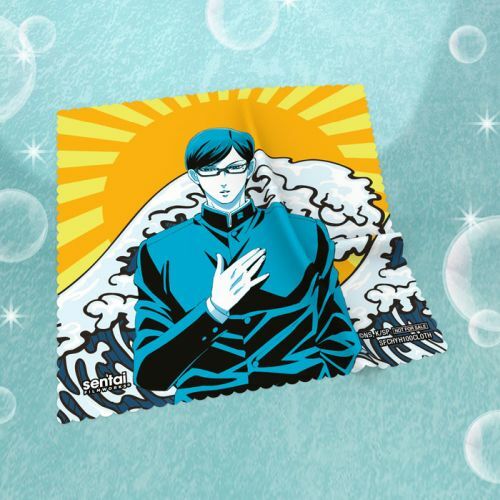 Framed by a stylized wave and sun, Sakamoto is here (in cool cloth form!) to assist you in your cleaning efforts. 100+ cool points if you’re cleaning glasses. You’d better not let these socks get lost in the wash. Remember when Sakamoto effortlessly glided down the hallway like a figure skater? 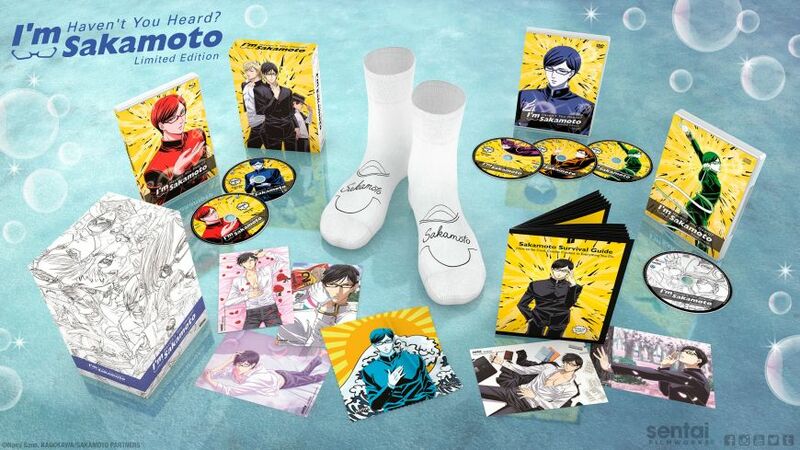 Replicate the scene yourself with these “autographed” Sakamoto socks! Cue the jazzy trumpets! THIS IS THE SOUNDTRACK YOU’VE BEEN WAITING FOR! Sakamoto’s epic jazzy sounds can be yours, exclusively in the premium box set. Get Free Shipping on Your Pre-Order Until 8/1/2017! Why are you still reading?! Hurry and pre-order the limited edition Haven’t You Heard? I’m Sakamoto premium box set, and get free shipping on your pre-order until August 1, 2017!